Seattle @ 21. Who Would You Trade Up For? 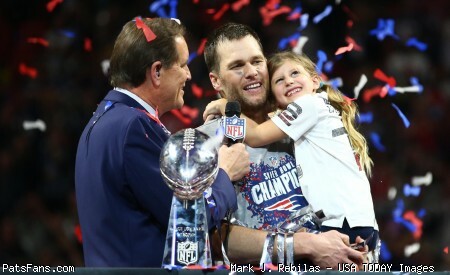 Discussion in 'Patriots Draft Talk' started by manxman2601, Apr 6, 2019.
Who would you trade up to 21 (Seattle) For? Which of the following would you be willing to trade up with Seattle for (Likely either pick 64 or 73)? You can pick as many as you want. I chose Seattle because it looks like they’re very keen to trade back to pick up picks (they only have four). I went with the first three. I’m just not sure about Fant. Hockenson definitely. I would consider Wilkins but not quite ready to pull the trigger just yet. I also think possibly Dillard/Williams - especially if they can play left and right tackle. As a point of comparison: last year, Seattle traded 18 (and 248) to Green Bay for 27, 76, and 186. So I think 73 would be reasonable if Seattle is looking to trade back "more than" NE is looking to trade up. If bb sees someone he really wants, he will go up to 21 and get him. The guy that really intrigues me is Jonas Williams of Alabama. I voted for Hockenson, Ferrell and Other (any of Bosa, Rashan Gary, Josh Allen, Montez Sweat & Brian Burns). I was tempted to vote for Christian Wilkins but decided that the difference between him and Lawrence, Tillery & Simmons isn't wide enough to warrant a likely expensive trade-up, whereas the difference between the top 6 DEs and the next level of DEs - Zach Allen, LJ Collier, Joe Jackson, Anthony Nelson, Jay Ferguson & The Omen-ihu - does appear wide enough. I also believe that the difference between Hockenson & Noah Fant is wider than the difference between Fant and Irv Smith, Knox & Sternberger; therefore I didn't vote for Fant either. In a heartbeat. I'd be shocked to see him get close to 21, though. Ferrell at 18, Wilkins at 19 and Devin Bush at 20 and no Dillard in the top 20. I do think there are some interesting names in play potentially at 21. I've thought for a while that the Pats stand at 32 and Simmons being by far the best prospect on the board benefit as the team who will put him on the PUP. The Pats did trade a first and third for Graham back in the day so I can see them trading for either of the TEs should they make it that far. Just really wanting a DT that shows promise right out the gate. Would really help the addition of Bennett in a big way I think. If they go Hockenson I’d be ok with that, just think defense is the better way to go. Amen brother! Defensive line with our first pick. We need talented reinforcements on the defensive line. Lawrence would be a huge addition. Simmons would be a monster addition for 2020. Wilkins, without Lawrence lined up on the side of him might be risky. What about Pennel next to Wilkins? I really can’t say that I have ever seen Pennel play. I know he was on the jets roster, but I don’t remember him. I don’t know how you feel about pff grades, but according to them we now have the best two DTs in the AFC East in Guy and Pennel. Excellent run stuffer who had a good year last year. This is what I have been paying the most attention to. Who would actually be in play at #32, and who could drop out of the top 15 and be worth trading up for. I don’t know what 2020 picks the Seahawks have but this could be interesting. That still sounds like a perfect trade partner. I’d love to move several of those picks back a year and hopefully up a round. ...Ferrell at 18, Wilkins at 19 and Devin Bush at 20 and no Dillard in the top 20. I do think there are some interesting names in play potentially at 21. ...The Pats did trade a first and third for Graham back in the day so I can see them trading for either of the TEs should they make it that far. Bill also traded up for Jones & Hightower in 2012, but in all 3 cases, Bill still made those picks in the 20s. I would be fairly surprised if he traded way up there inside of the top 20; the cost would then become too prohibitive. He would be better-served to heed his own advice that he once gave (to no avail) to Dimitroff when he was considering a big trade-up for Julio Jones. Well I’m talking about trading up to 21 so still in the twenties.